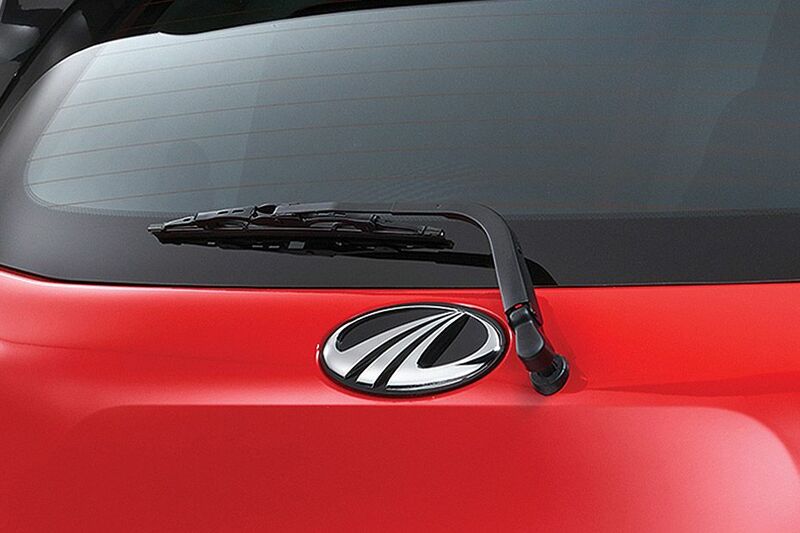 Rear AC vents are not available in Mahindra KUV100. 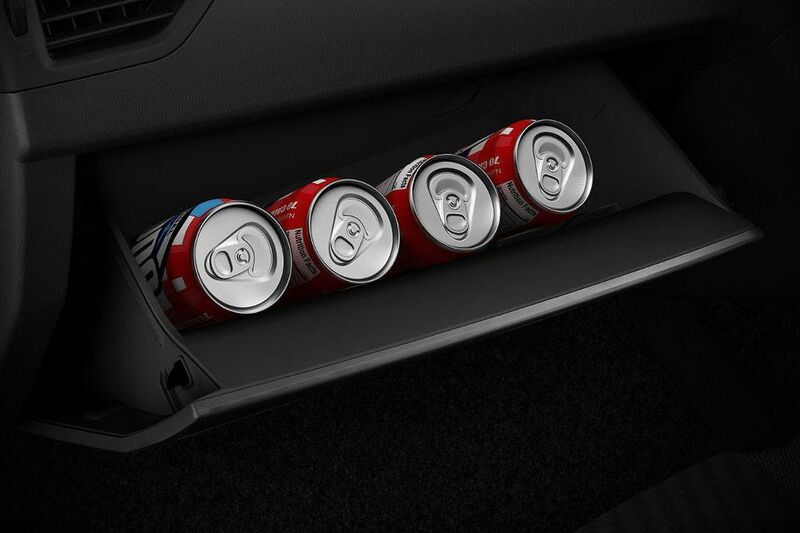 Maruti Swift offers automatic climate control in its top end models, while the Grand i10 has rear AC vents in its mid and high range variants. 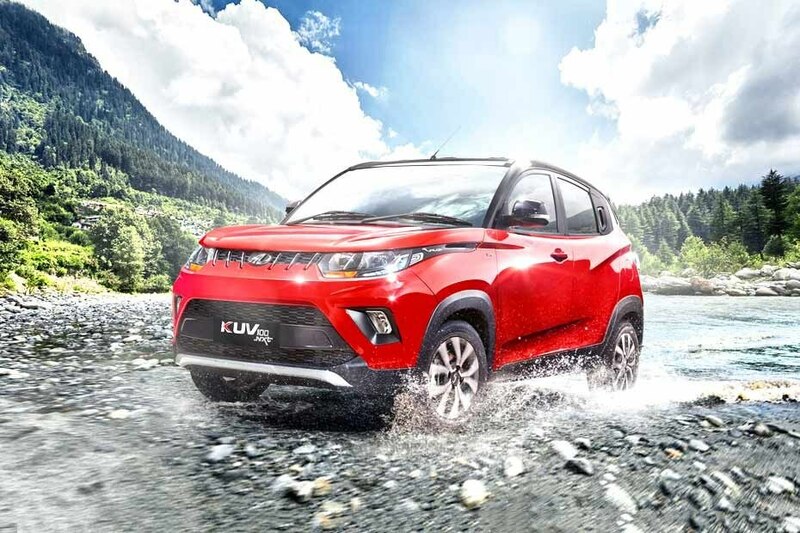 Mahindra KUV100 is currently on offer with newly developed petrol and diesel engines. Its petrol version is powered by a 1.2-litre mFALCON G80 Petrol engine that churns out 82bhp of power at 5500rpm along with 115Nm of torque between 3500 to 3600rpm. 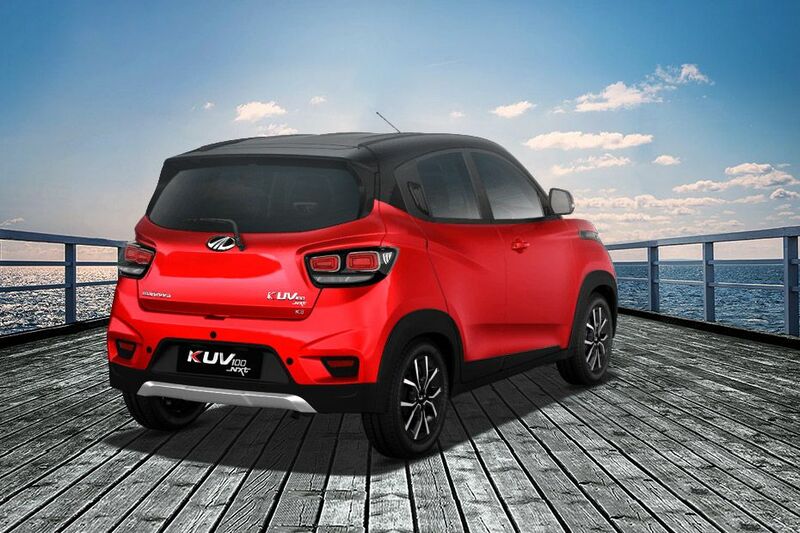 It offers a mileage of 18.15 kmpl. , Its diesel versions draw power from a 1.2-litre mFALCON G75 oil-burner that can produce 77bhp of power at 3750rpm along with 190Nm of peak torque between 1750 to 2250rpm. This mill returns a peak mileage of 25.32 kmpl. 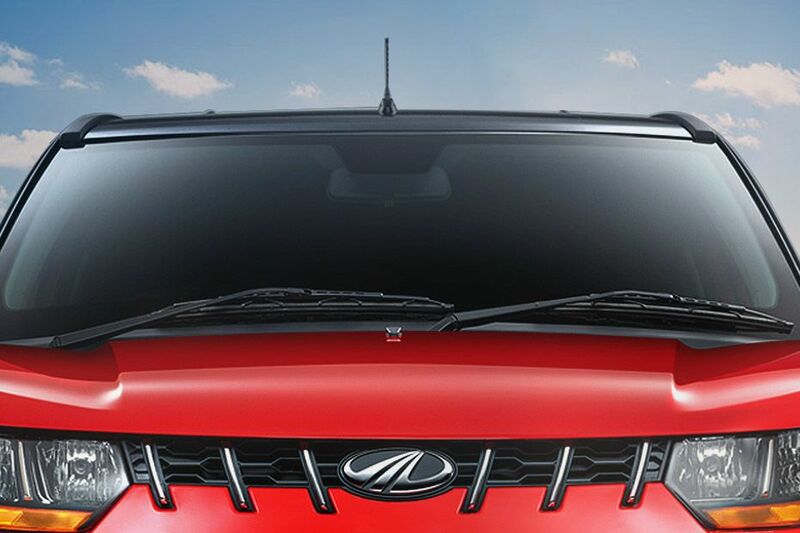 Mahindra KUV100's biggest rivals include Maruti Swift, Hyundai Grand i10 and Ford Figo hatchback. Ford Figo hatchback is available with three engine options., 1.5-litre TDCi diesel engine – it churns out a peak power of 99bhp in combination with 215Nm of hammering torque. Mileage: 25.83 Kmpl. , 1.2-litre TI VCT petrol motor – 86.8bhp of peak power and 112Nm of torque. Mileage: 18.16 kmpl. , 1.5-litre TI VCT petrol motor - 110bhp of power with 136Nm of torque. Mileage: 17 kmpl. Hyundai Grand i10 is currently available with 1.2-litre petrol and 1.1-litre diesel engine options. , 1.2-litre Kappa VTVT petrol mill – it churns out 82bhp of peak power in combination with 114Nm of hammering torque. Its mileage is 18.9 kmpl., 1.1-litre U2 CRDi diesel engine – This motor generates 70bhp of peak power that results in 160Nm of peak torque. This mill enables the vehicle to deliver a maximum mileage of 24 kmpl. 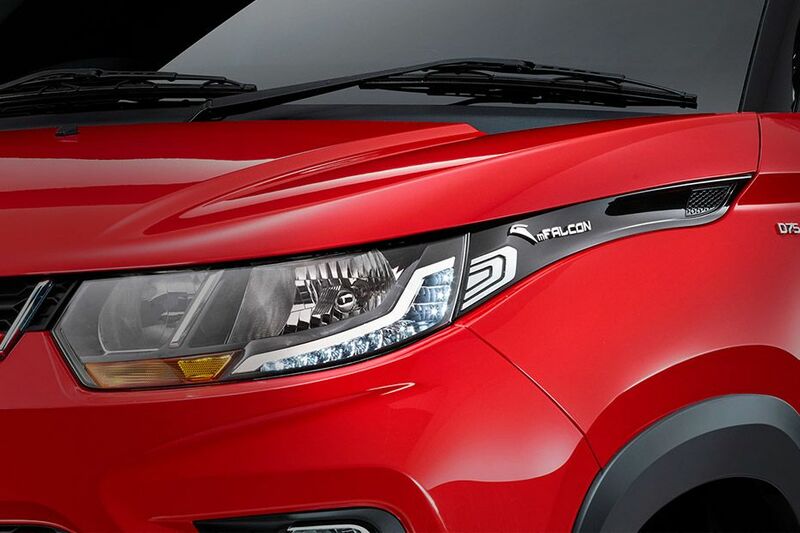 Mahindra KUV100 has a stylish headlight cluster that is housed with conventional halogen lamps along with turn indicators. 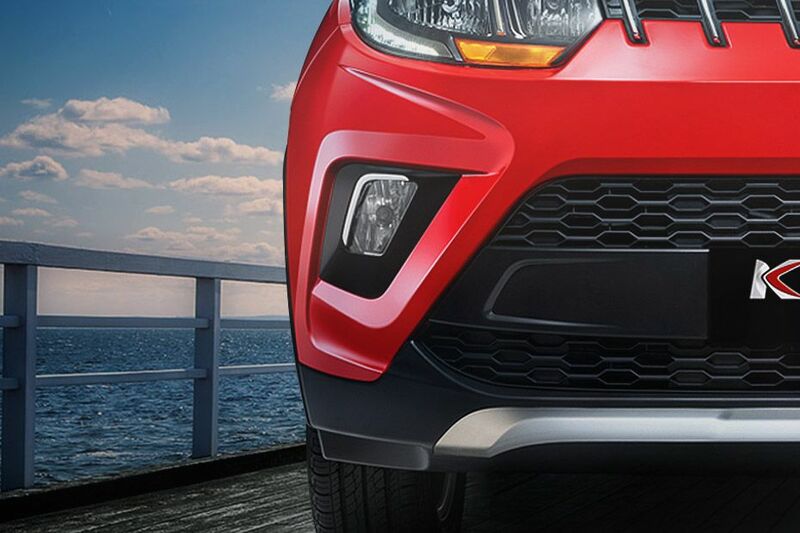 At the same time, it gets daytime running lights that adds the grace to its front facade. Fog lamps are present only on the top end K8 trim. 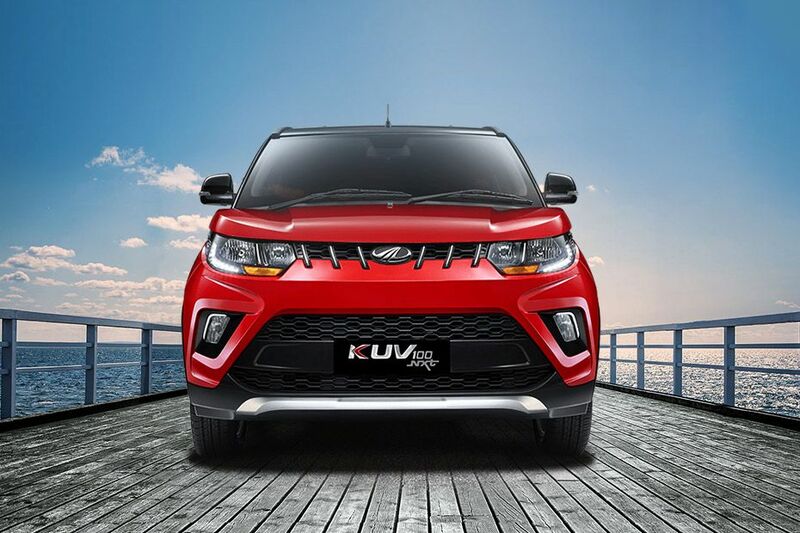 The front facade of KUV100 has a dynamic SUV look that resembles XUV500, thanks to its distinctive radiator grille with chrome inserts. 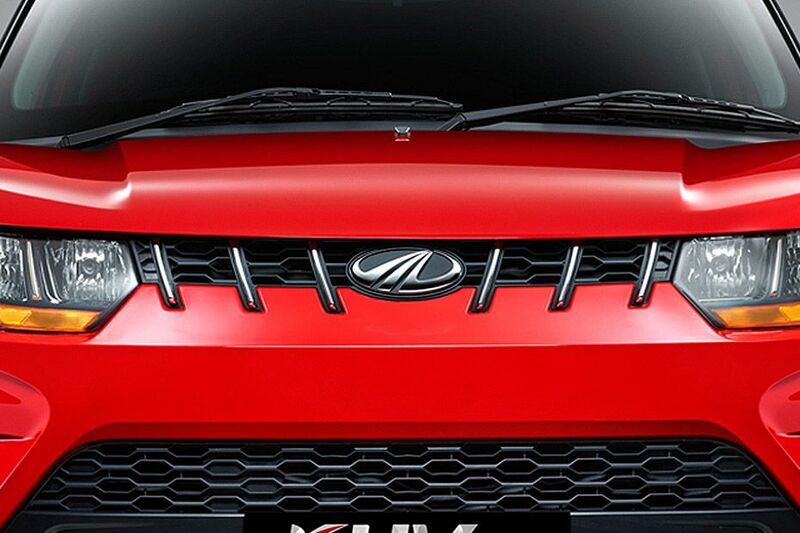 The company's insignia is placed in the center of this grille. It also has a sporty bonnet with masculine crease lines that further adds to its robust appeal. 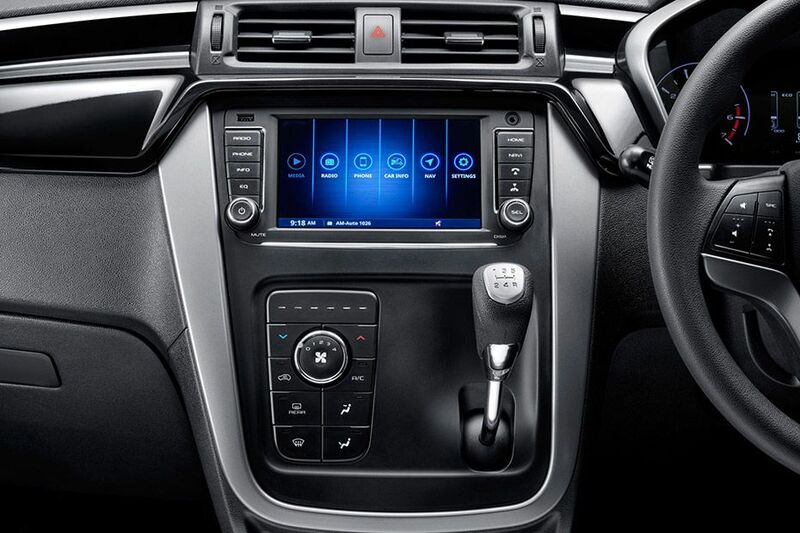 Except the base K2 grade variants, rest of the trims in KUV100 have central locking system as standard. 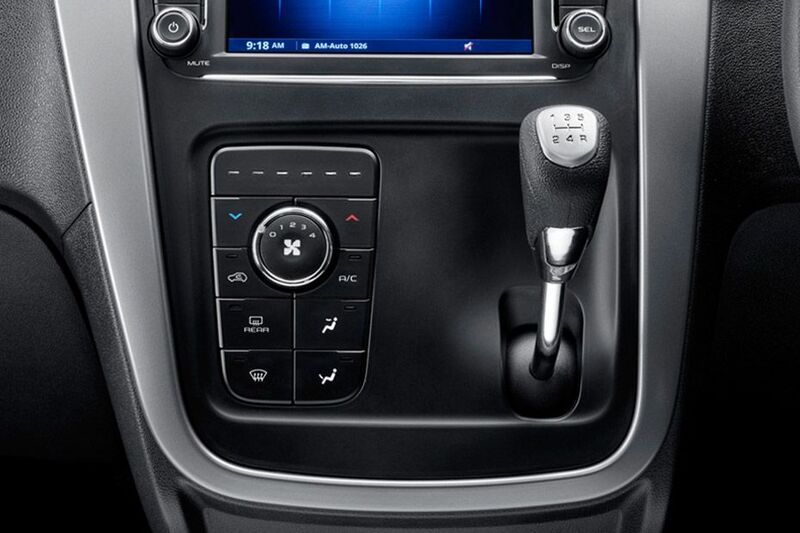 While the K6 and K8 grade variants have remote keyless entry. In Maruti Swift and Grand i10, except their base trims, all the other variants have keyless entry system. 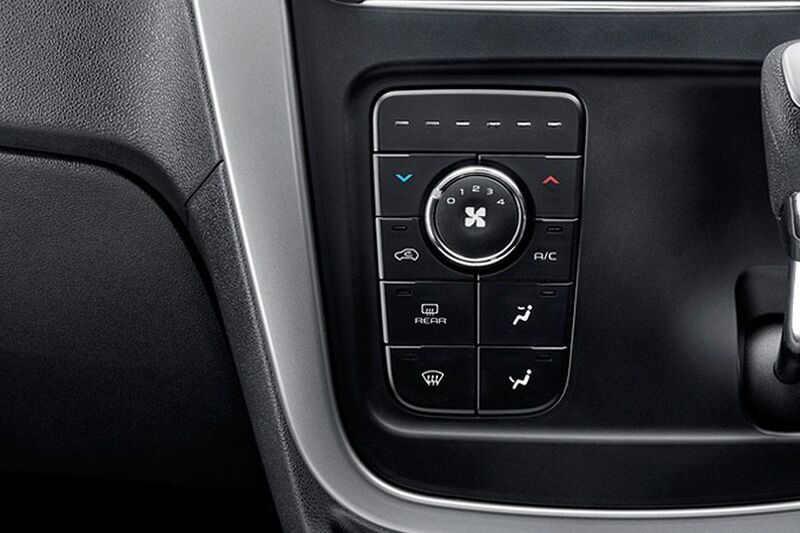 In Ford Figo, keyless entry facility is available from Trend variant onwards. 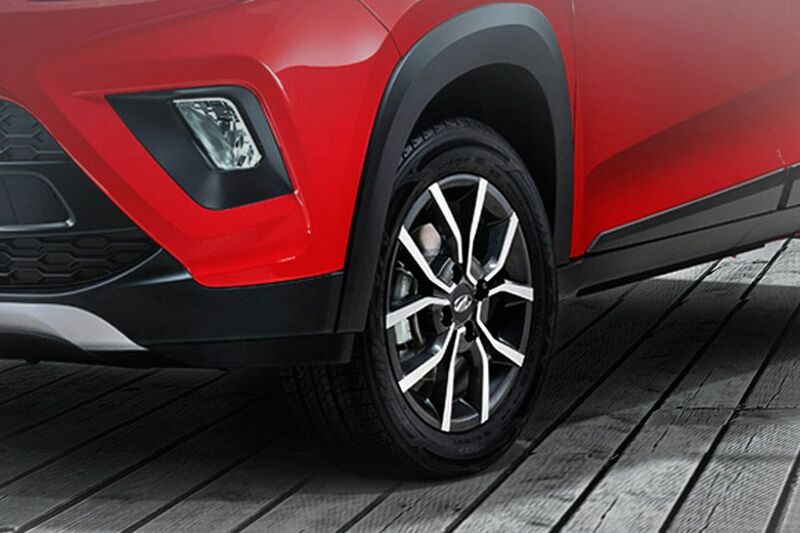 Mahindra KUV100's top end variant comes with 14 inch alloy wheels, while the remaining trims are on offer with steel wheels of same size. They are covered with 185/65 R14 sized tubeless radial tyres. 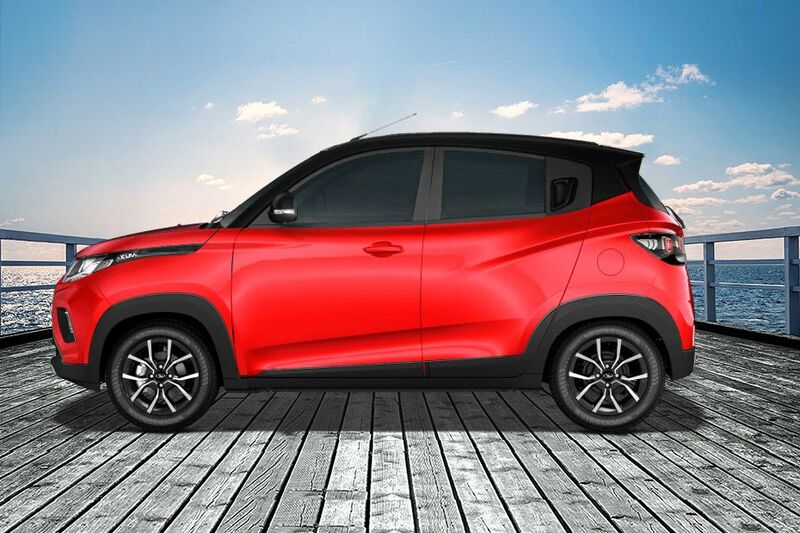 Ground clearance of this micro SUV is 170mm. In Hyundai Grand i10, only the top end trim come with 14-inch clean silver alloy wheels, while the others come with steel rims. At the same time, diamond cut alloy wheels are available as optional feature for Asta trim. These rims are covered with 165/65 R14 sized tubeless tyres. The ground clearance of the car is 165mm. Ford Figo comes with steel wheels for Base, Ambiente and Trend variants, while the others come with 14-inch alloy wheels. These rims are wrapped-in with 175/65 R14 sized radial tubeless tyres. Ground clearance of this hatchback is 174mm. 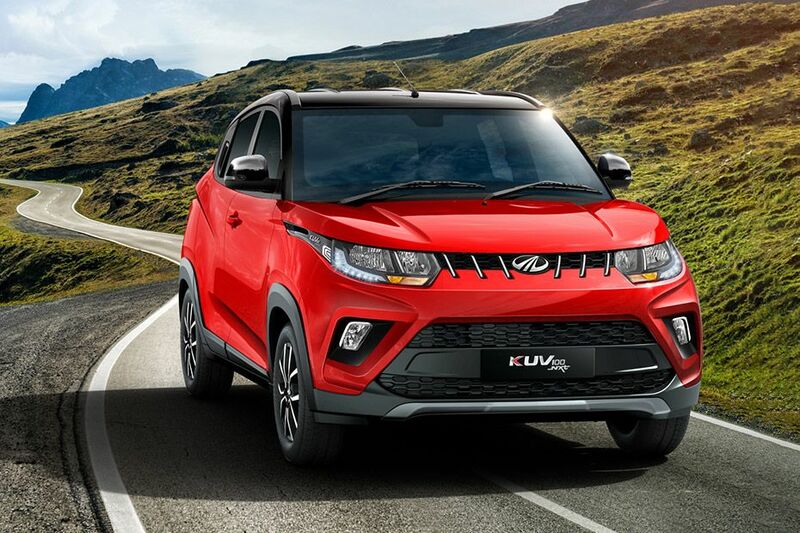 Mahindra KUV100 is currently on offer with 7 exterior colors – Fiery Orange, Pearl White, Aquamarine, Dazzling Silver, Flamboyant Red, Designer Grey and Midnight Black. Maruti Swift is 175 longer, 10mm less wider and 105mm shorter than KUV100. Its ground clearance is 170. Hyundai Grand i10 is 90mm longer, 45mm less wide and 115mm shorter than KUV100. 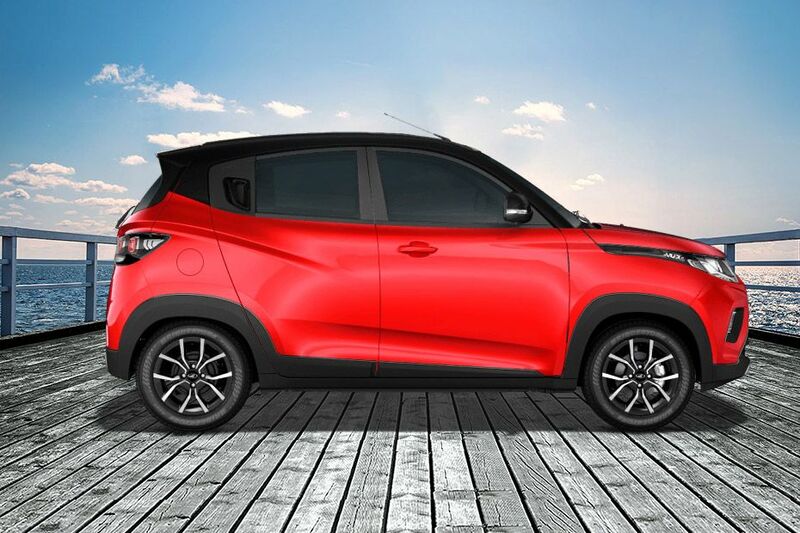 It has a ground clearance of 165mm. Ford Figo is 211 longer, 10mm less wide and 110 shorter than KUV100. Its ground clearance is 174mm. 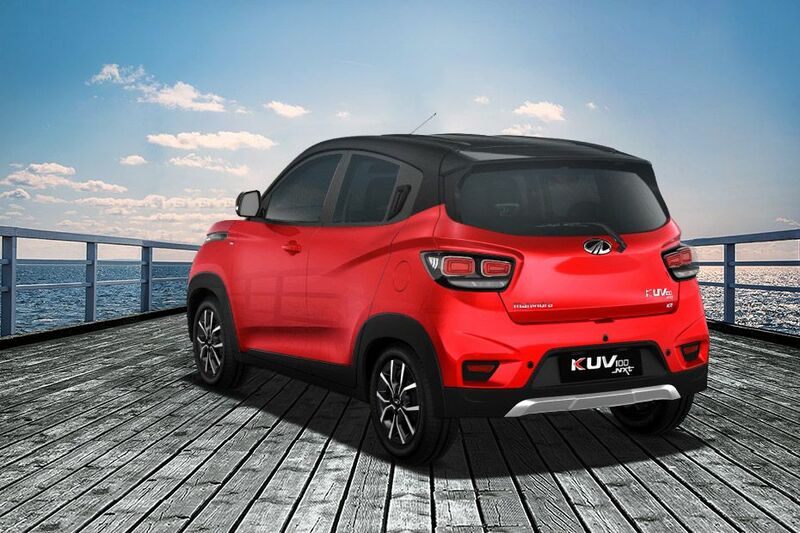 KUV100 comes equipped with front disc brakes and rear drum brakes. 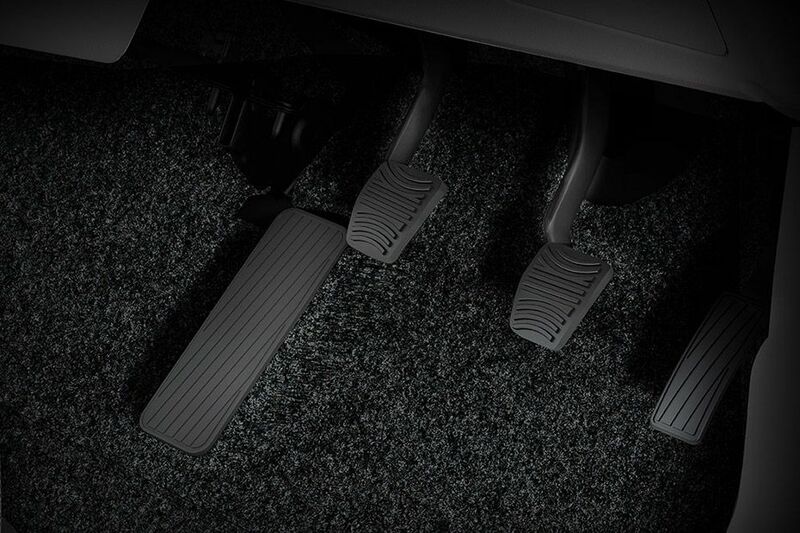 Also, anti lock braking system and electronic brake-force distribution comes as standard across all the variants. Ford Figo and Maruti Swift come with front ventilated disc brakes and rear drum brakes. In both the cars, only their top end variants get ABS with EBD as standard. Hyundai Grand i10 come with disc and drum braking combination. ABS is available as optional feature in Asta trim only. 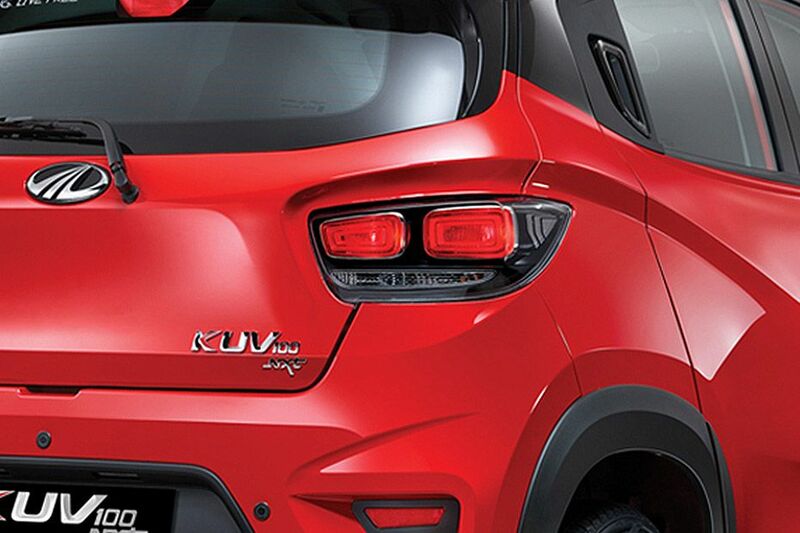 KUV100 has distinctively designed taillight cluster that renders a modern look to this micro SUV. It is housed with brake lights, turn indicators and courtesy lamps as well. 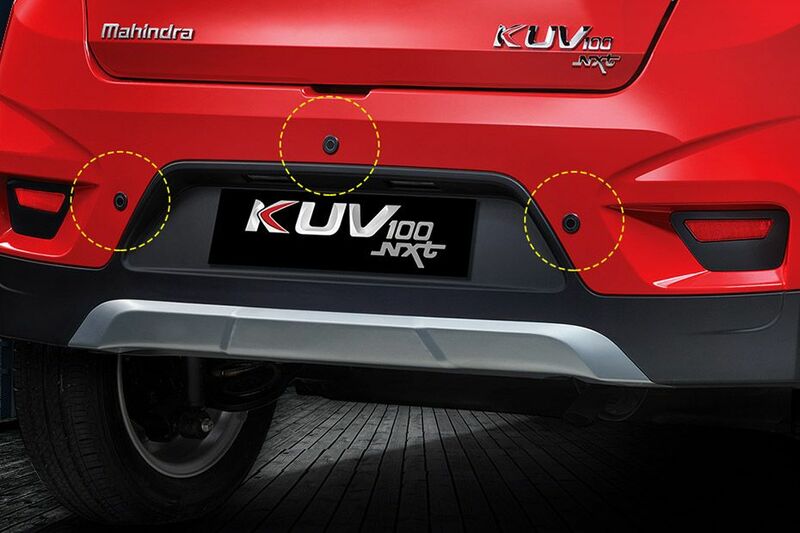 Mahindra KUV100 has a Cargo 243-litres. 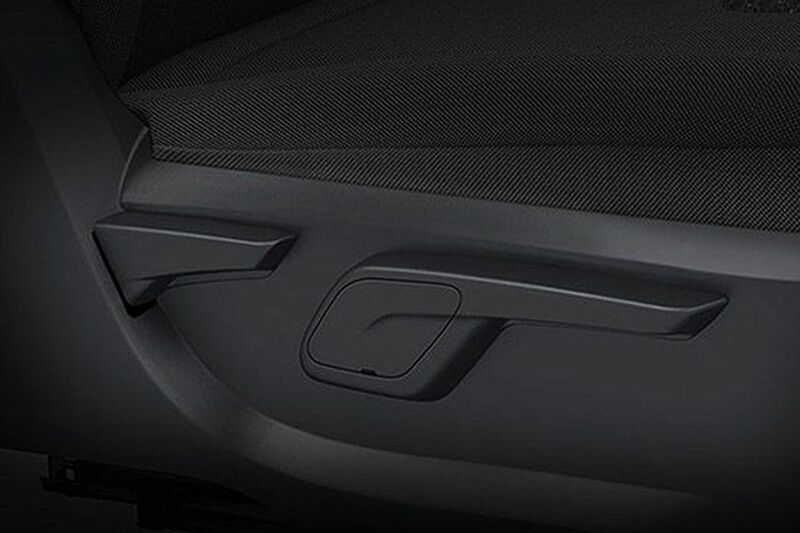 Except base trims, all its other trims have the option to expand the cargo volume upto 473 litres. The boot storage capacity of Swift is 204-litres. Hyundai Grand i10 comes with a cargo volume of 256-litres. 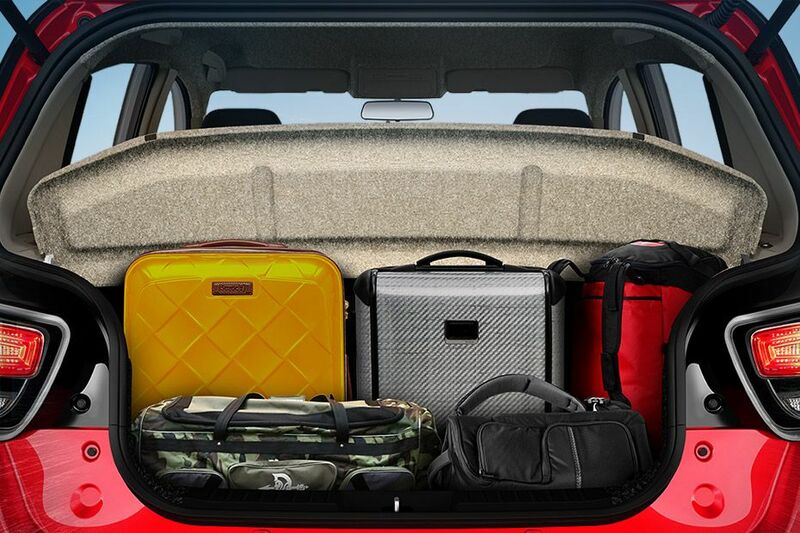 Ford Figo hatchback has a huge boot space of 257-litres. High end variants of Grand i10 and Swift have reverse parking sensors. 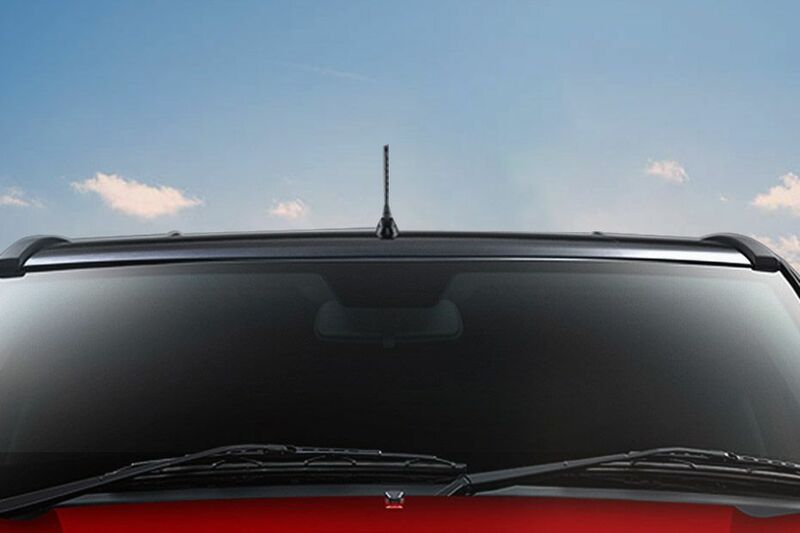 While Ford Figo come with an option to integrate reverse parking camera with display on IRVM. 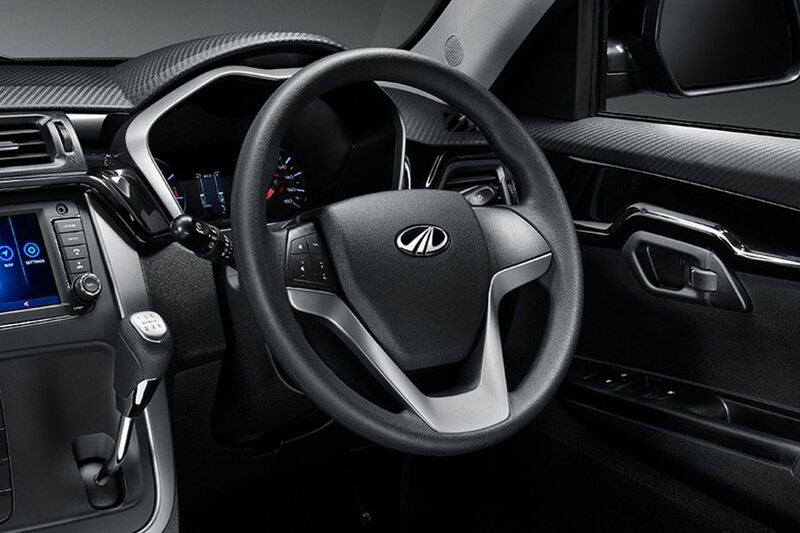 Mahindra KUV100 is bestowed with an electric power steering wheel, which is mounted with audio and phone controls in k6+ variants. 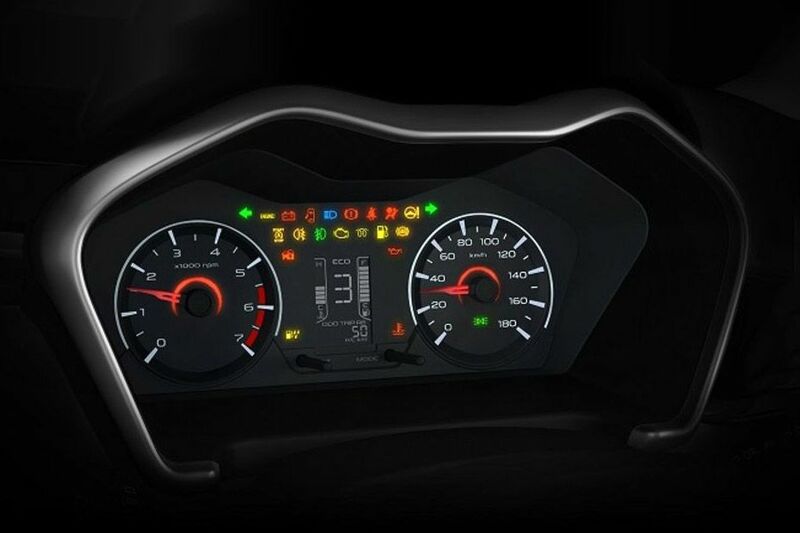 Its instrument cluster includes a tachometer, electronic multi-tripmeter, digital odometer along with notifications like door ajar warning and driver's seat belt indicator. 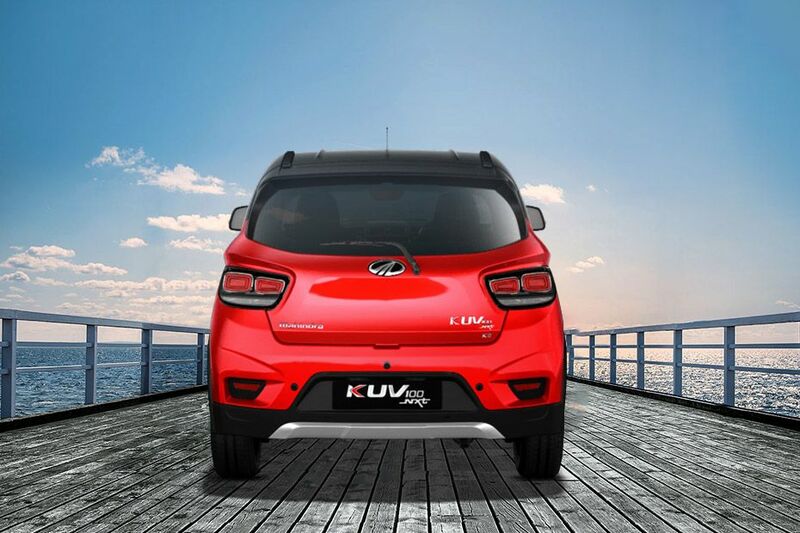 KUV100 has both its petrol and diesel engines mated with a 5-speed manual transmission gear box. Grand i10 gets a 5-speed manual gearbox, while its 1.2-litre petrol motor is also offered with a 4-speed automatic transmission gear box. Maruti Swift comes with a 5-speed manual gearbox as standard. Ford Figo is available with a 5-speed manual transmission gear box, whereas its 1.5-litre petrol engine also comes paired with a 6-speed automatic gearbox. 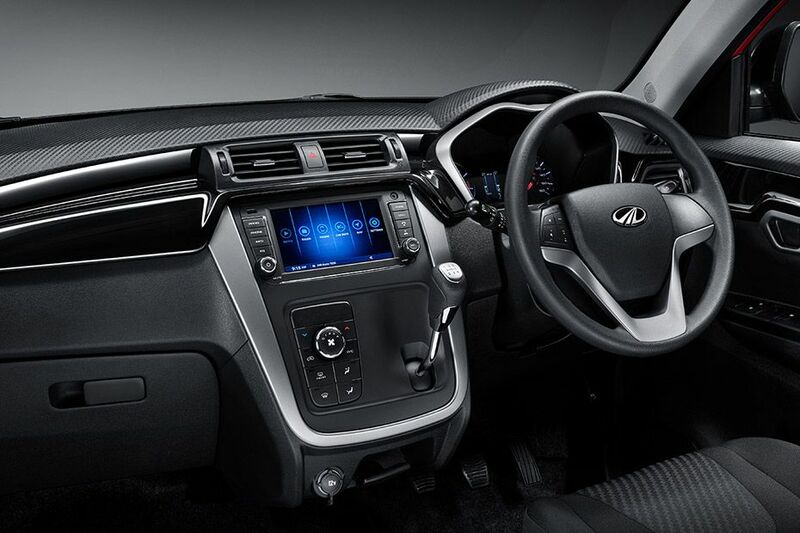 Mahindra KUV100 has an infotainment system with a 3.5-inch display screen in its K6, K6+ and K8 variants. 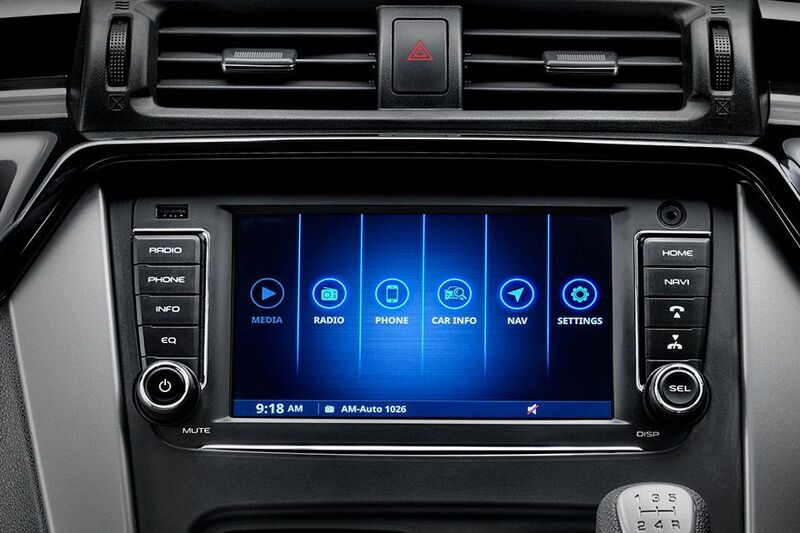 It supports Bluetooth audio & handsfree call, and has BLUE SENSE App compatibility. 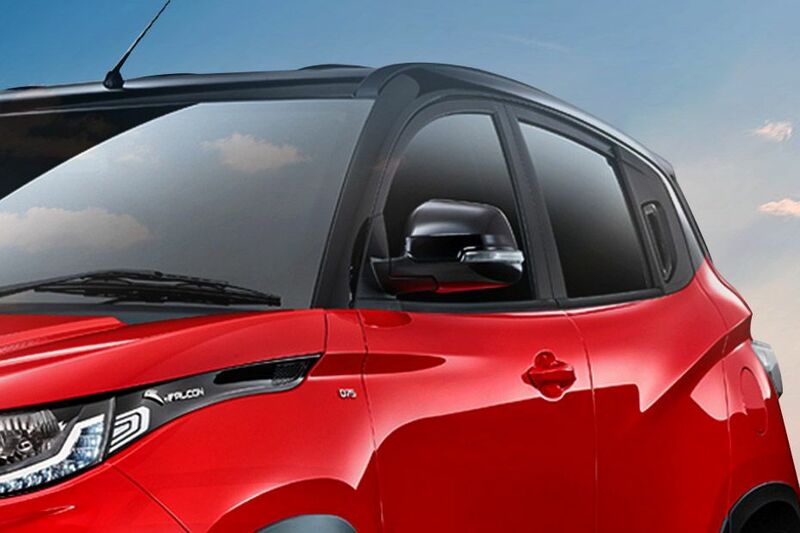 Except for the base models, KUV100 has power windows on all doors. 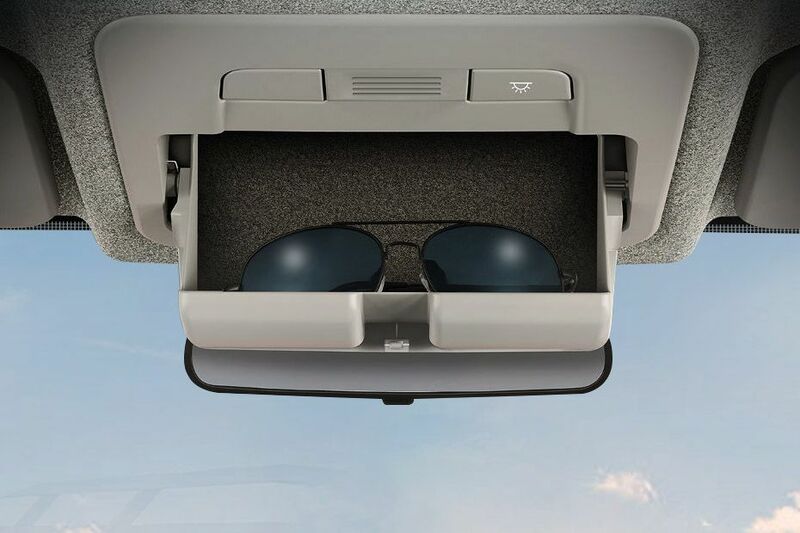 The KUV100 comes with a sunglass holder, cooled glove box, storage space under co-driver's seat, door pockets, and bottle holders as well. 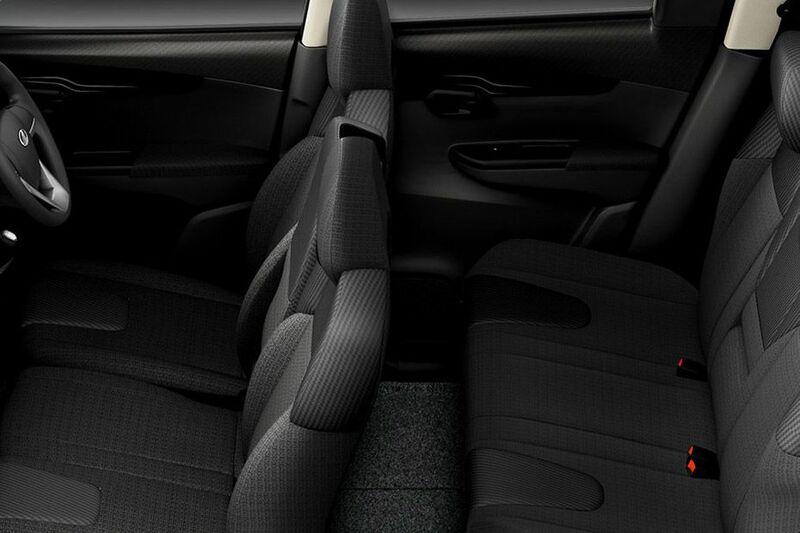 In KUV100, foldable rear seat is present in all its variants, except for the K2 and K2+ trims. This micro SUV has dual front airbags in its K2+, K4+, K6+ and K8 variants. The ZXi and ZDi variants of Swift are offered with driver and passenger airbags. Ford Figo gets driver airbag as a standard feature, and the passenger airbag is available from the Ambiente trim onwards. Its Titanium Plus model additionally gets side and curtain airbags. 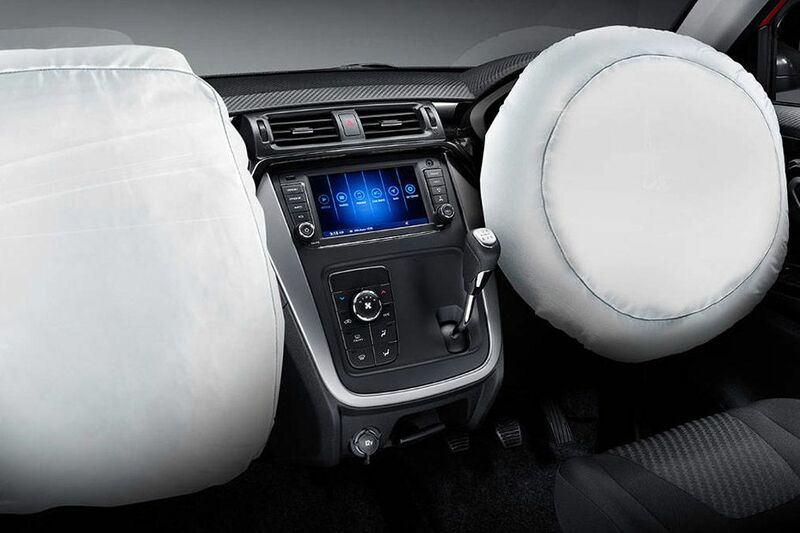 Meanwhile, Hyundai Grand i10 has dual airbags only in its Asta Option variant. Its K6, K6+ and K8 trims are available with a height adjustable driver' seat. 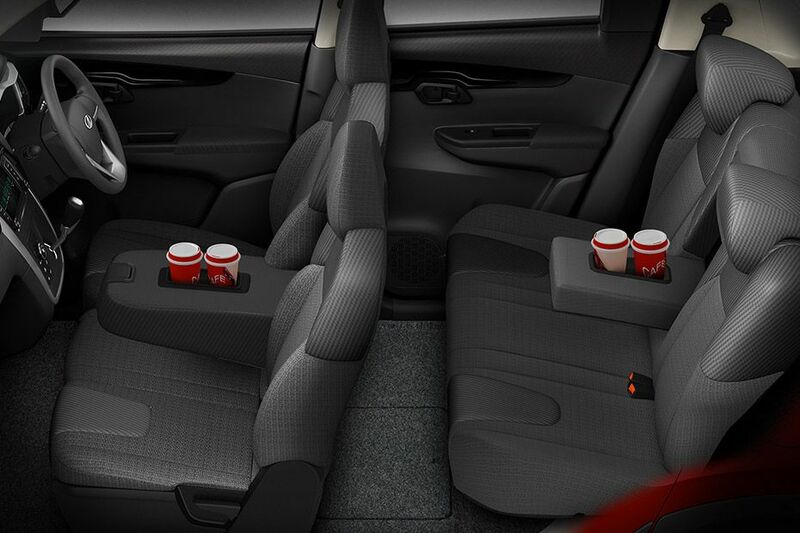 Mahindra KUV100 has spacious interiors with ample head room. It also offers sufficient leg as well as shoulder space.